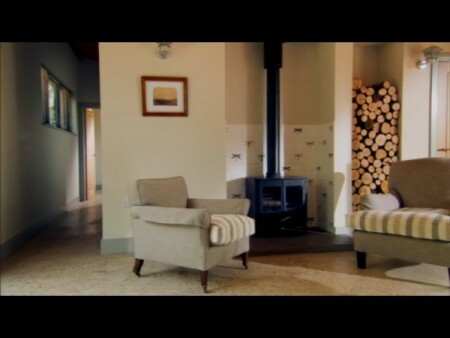 Rye Pottery & our Dragonfly Tiles were featured on an episode of Grand Designs on September 16th. It was a Godsmark Architects build for James Strangeways next to a Romney Marsh Canal. Our hand-glazed & hand-painted Tiles were used as a stylish backdrop for a woodburner in the living room. And yes, our Cottage Stripes Stripe Bowls were in the kitchen too. Our thanks to Director Ned Williams & the team for beautiful sequences showing our techniques and talented paintress Julie Catt. And thanks also to Kevin McCloud Esq not least for describing our tiles as “charming”. 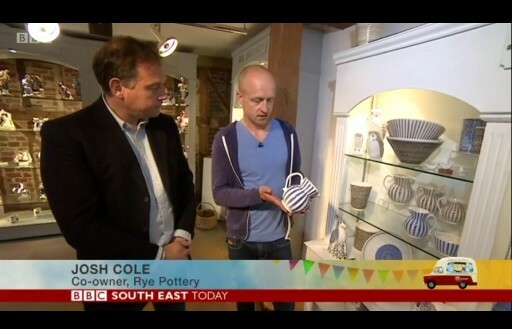 Josh Cole was interviewed as part of a special series fronted Radio 4’s Paddy O’Connell for BBC South East Today. Our section was a pre-filmed part of a whole programme dedicated to Rye and the town’s wonderful Jazz Festival. Jane Davies and Rebecca Rhodes from our painting team were also featured painting our Chaucer Figures and Cottage Stripes.